Abstractions features 7 songs remixed by Sylvain. 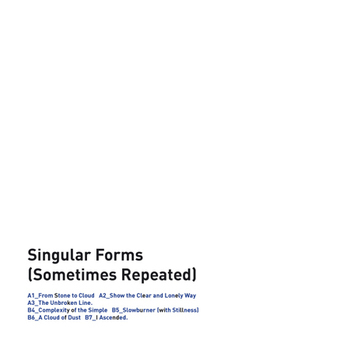 Singular Forms (Sometimes Repeated) is the first SC solo album with vocals since 2005 "Down to the Bone". After ten years composing chamber music, it took two years to conceive this opus between Paris, Chicago, Montpellier and Bruxelles. 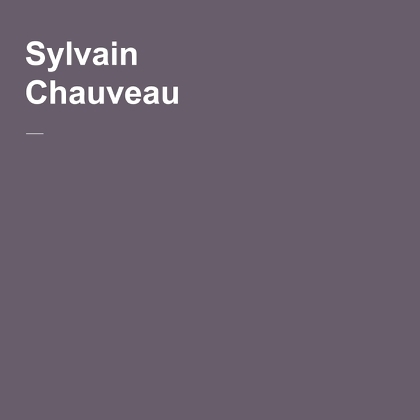 Sylvain's objective was to deconstruct the "song" format and bring it to very unusual lands. 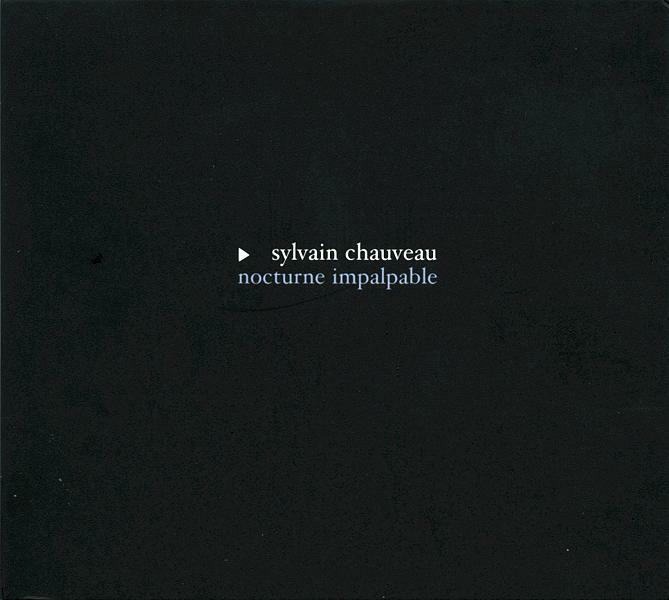 47 minutes long piano improv composed and performed by Sylvain Chauveau. 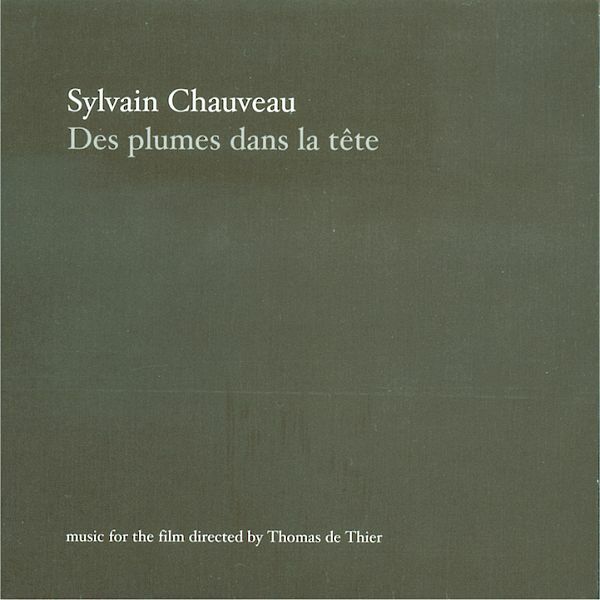 Music for Sébastien Betbeder's films "Nuage" and "Les Mains D'Andréa". 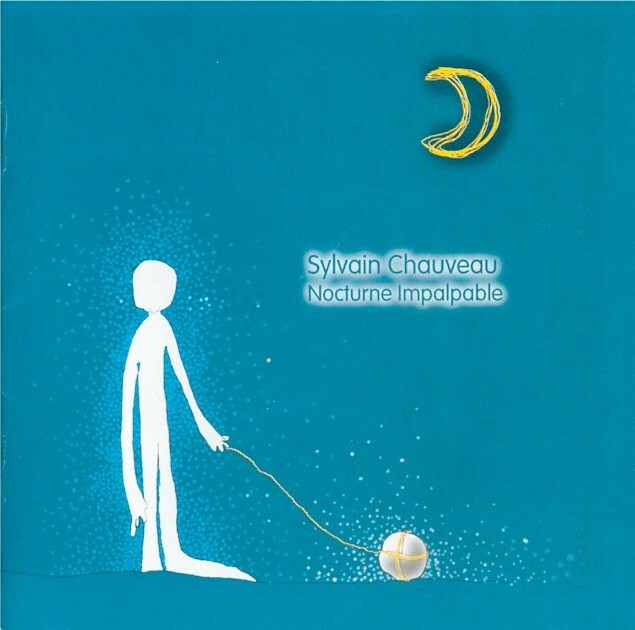 Music composed by Sylvain Chauveau. Produced by Les Films du Worso. 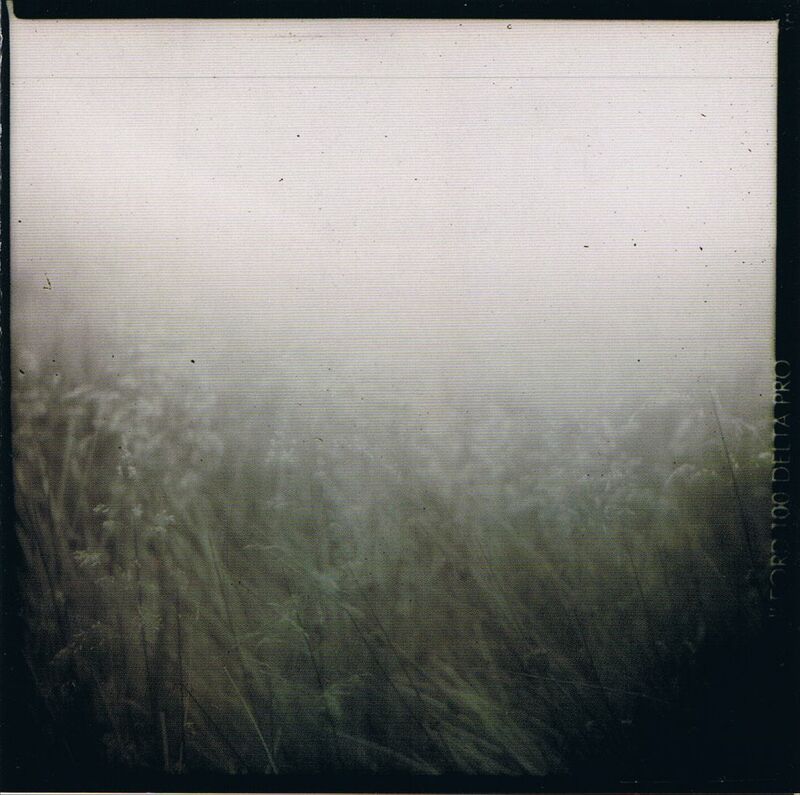 "Nuage": Recorded by Marc Dubézy and Damien at CDM, Toulouse. Mixed by Pierre-Yves Macé in Paris. "Les Mains D'Andréa": Recorded by Julien Guinard at La Muse en Circuit, Alfortville. Mixed by Pierre-Yves Macé in Paris. All pieces composes for the dance show "Au nombre des choses" (All thing among things) by Compagnie Mi-Octobre / Serge Ricci. 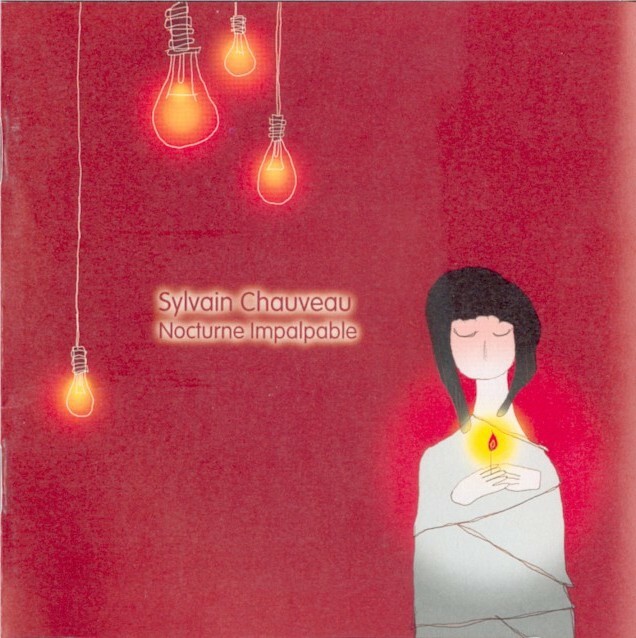 Composed and performed by Sylvain Chauveau (electric guitar, piano, electronics, vocals), 2005-2007. Produced by Compagnie Mi-Octobre / Serge Ricci. Recorded and mixed by Pierre-Yves Macé in Paris. Reworked with Sylvain Closier in Toulouse. Final layout with Geoffroy Montel in Paris. Mastering by Lupo at D&M Berlin. Words and music by Martin L. Gore. Recorded and mixed by Marc Dubézy at CDM studio, Toulouse, with the precious help of L'Ampli in Pau. Artistic direction by Joan Cambon. Produced by Gérard Nguyen, Marc Dubézy and Sylvain Chauveau. "Freelove" was rearranged by Sébastien Roux, after a piano part by Luc Rambo, performed by Sam Crowther. Luc Rambo also rearranged "Blasphemous rumours". Mastered by Christoph Amann at Amann studios, Vienne. 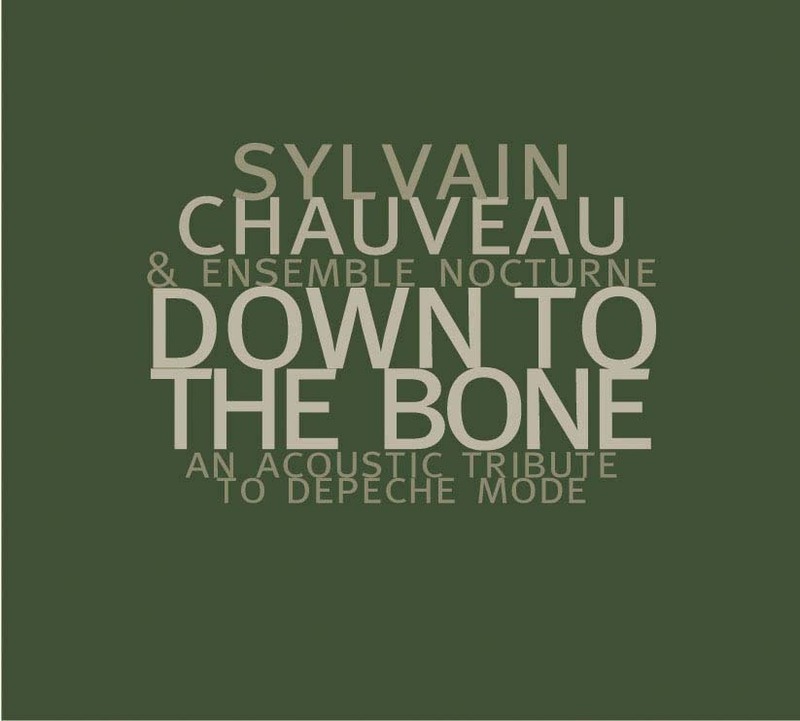 Includes samples of Pierre-Yves Macé, Toy Bizarre and Below the Sea. Japanese reissue of the album including a bonus track (Shake the disease) and the video for "Never let me down again" by Vincent Moon. "Des Plumes dans la Tête" O.S.T. 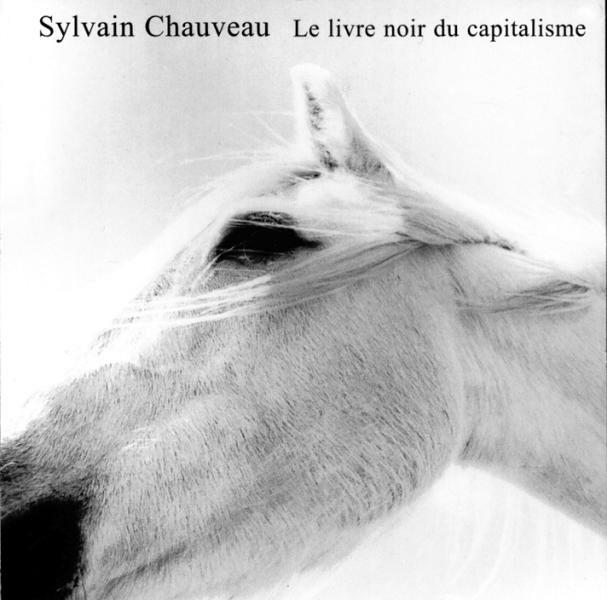 (*) Webcam remixed by Sylvain Chauveau, recorded and mixed with Joan Cambon. Original Webcam's pieces are on the album "Weaving" (Noise Museum, 2000). Appreciated by Stefan Schneider (To Rococo Rot, Mapstation). Quoted by Ryuichi Sakamoto in his 2002 top 5. Played by John Peel on the BBC. Taiwanese re-issue of the album, released in 2003. The musical content is strictly the same as the previous version. The design has been totally revisited by Heaven Book. The album is available with 2 different sleeves (further information and sleeve scans). Re-issue of the album, released in 2002. The musical content is strictly the same as the original version. The sleeve design has been revisited, and a note by Sylvain about the re-issue has been added in English. 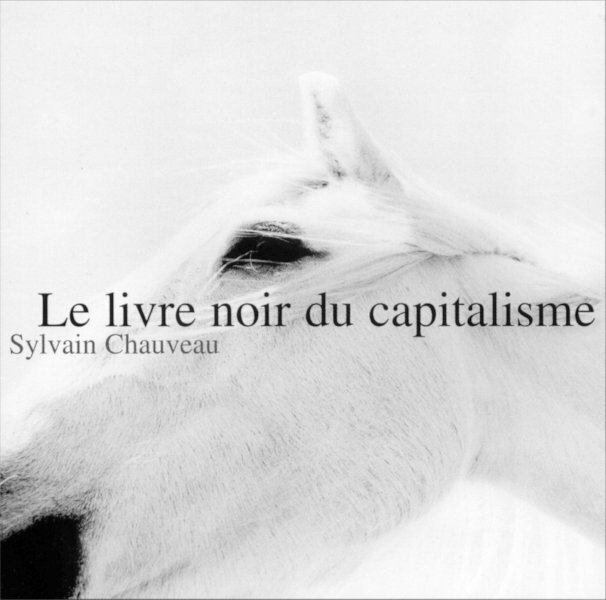 Re-issue of the album "Le Livre Noir du Capitalisme", released in 2008. The tracklisting is the same as the original version, but the album has been remastered by Lupo at D&M, Berlin. The sleeve and the layout are totally different than the original version. For the first time, the album is released on vinyl (limited edition: 400 copies only). Begiak Hetsi is on the compilation Basque Electronic Diaspora #2 on spanish label Metak, out en 2001. A remix by Sylvain of the piece called L'Egalité des Hommes Devant la Mort (Equality of men in front of death) by Glider appears on the band's remixes album, Sand from Water, out in 2002 on Alice in Wonder. 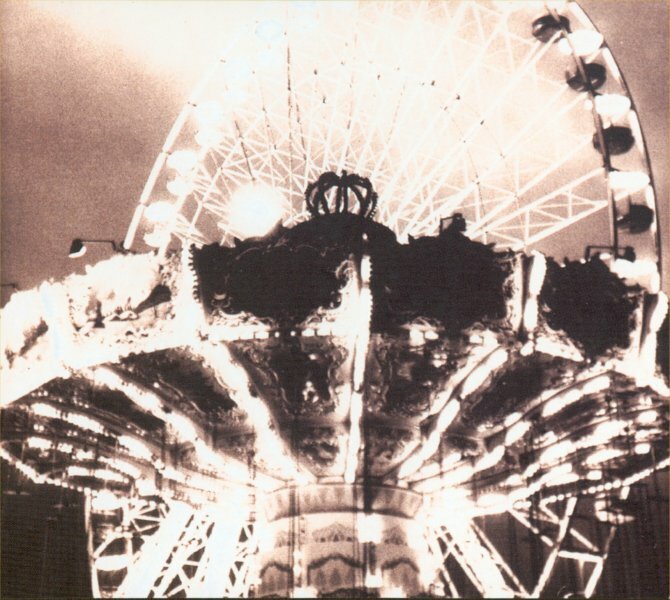 Minéral (from Un autre décembre) is on the double compilation by Fat-Cat, Branches and Routes, out 30/06/2003. 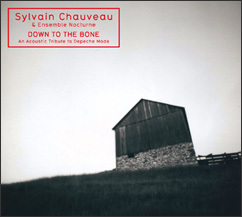 In your room (from Down to the Bone) appears on the freebie CD joined with French magazine D-Side #30. The version of Enjoy the silence that ends up the album Down to the Bone is on the sampler of German magazine Spex's december 2005 issue. 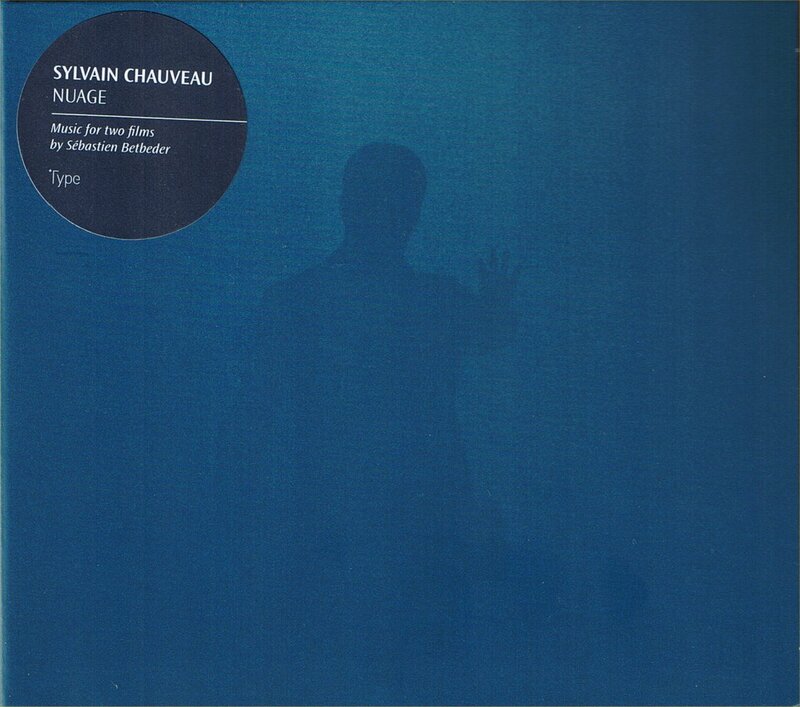 A remix by Sylvain of the piece called Within the Orderly Life by Pulseprogramming appears on the band's remixes album, Tulsa for One Second Remix Project, out in 2005 on Aesthetics. 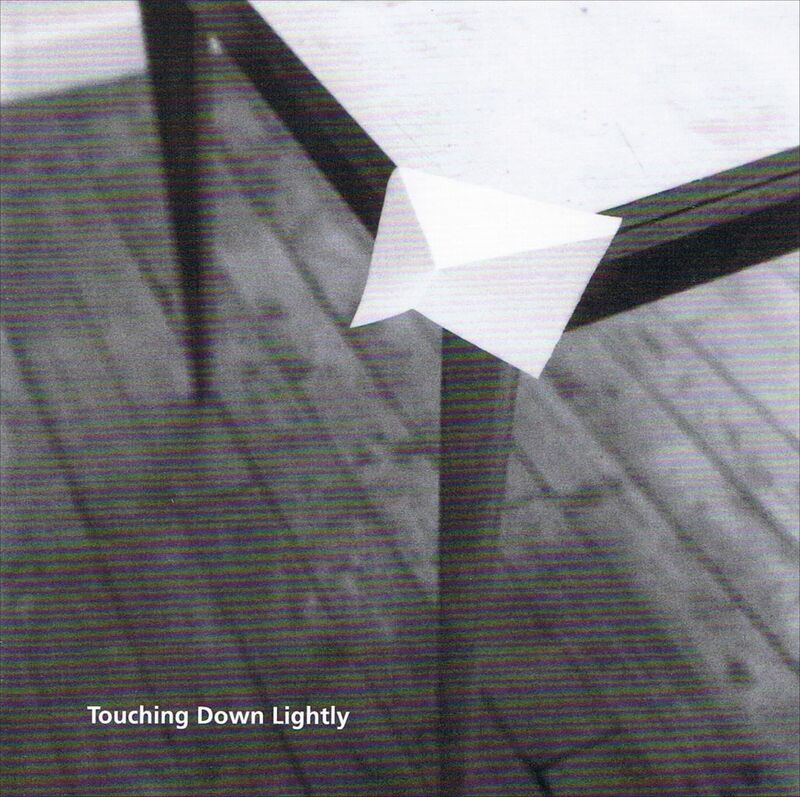 Never Let Me Down Again (from Down to the Bone) appears on the Czech compilations Super Plouzaky 2007 and Music Box Hity 5, issued in 2006. Composition 8, opening track of the EP S. appears on the 2007 MP3 compilation TYPE - Free The Future available from the English site BoomKat.com. The Phonecall, unreleased excerpt from the "Les Mains d'Andréa" O.S.T., appears on the compilation The Pet Series volume 6, the mouse released in 2007 by the Dutch label Volkoren. A remix by Sylvain of the piece called ik weet by at the close of everyday appears on the band's remixes album, leaves you puzzled, released in March 2007 by Volkoren (volkoren 20). Sylvain was a member of Watermelon Club and Micro:mega, and is part of Arca and On. He has recorded an album with Felicia Atkinson. He plays some piano on Accord Final on Below The Sea's second album Les Arbres nous Dépayseront Davantage (Canada, Where Are My Records, 2002). 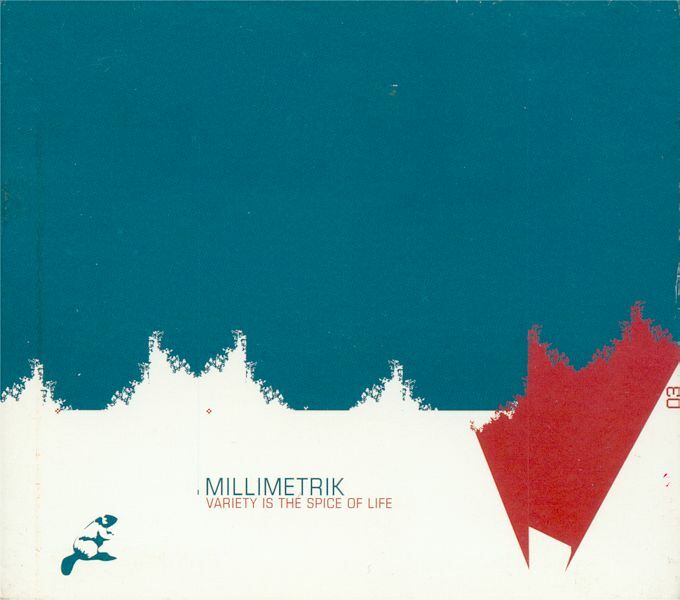 He plays electric guitar on 3 tracks on the album Variery is the Spice of Life by Millimetrik (Canada, Statik, 2003): Hommage aux Gens qui n'Intéressent Personne, Hydrophobie and Les Techniques Devenues Folles. He sings lead vocal on Handling with Care and plays acoustic guitar on Heroinogirl on Clear, That Summer's third album (France, released in March 2005 on Talitres: TAL-017). He sings Amber Rain on the album of Coil covers The Dark Age of Love by This Immortal Coil, released in October 2009 by Ici D'ailleurs.